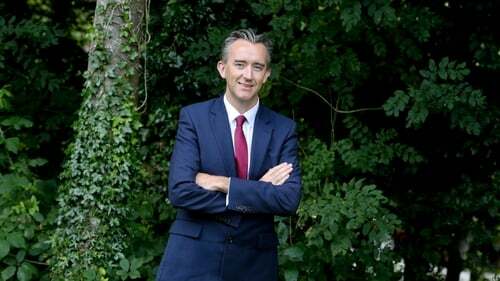 Fergal Leamy has decided to step down as chief executive of Coillte after more than four years in the job. Mr Leamy said he is taking on a new position in the private sector in June of this year. Coillte said it will start a process to find a new chief executive in the coming weeks. Gerry Britchfield, who is currently the company's chief operations officer and chief financial officer, will assume the role of acting CEO in April. Mr Leamy said he will remain in Coillte until June 2019 to ensure a smooth transition. In a statement, Mr Leamy said he will leave the company secure in the knowledge that it is in a stronger position than ever to capitalise on the opportunities in the timber and renewable energy sectors. "The transformation and growth of Coillte has been driven by the motivation, commitment and dedication of our people and I want to thank the team for their hard work and support", the CEO said. He said the company had just completed another very successful year in 2018 which saw its earning rise from €85m to €115m. "We also achieved a successful sale of our wind assets for €136m which represented a five times return on our investment. "Coillte has now achieved its strategic objective of achieving a 5% cash yield on its €1.4 billion asset base. The company is in a strong position and has an excellent team in place to lead it into the future," he added.